The Society presents the ALBERT GALLATIN MACKEY AWARDS in the categories of Lifetime Achievement and Excellence in Masonic Scholarship. The Scottish Rite Research Society established the Albert Gallatin Mackey Awards in 2001, named for our illustrious brother. Among his many Masonic accomplishments, Bro. Mackey served as Grand Secretary General and de facto Historian of the Supreme Council, 33°, S.J. 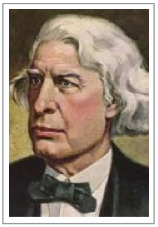 His publications, including the Encyclopedia of Freemasonry and the History of Freemasonry, are recognized as among the first serious scholarly writings on Freemasonry. The ALBERT GALLATIN MACKEY LIFETIME ACHIEVEMENT AWARD is presented to individuals whose works have received longstanding universal recognition by Masonic scholars. The ALBERT GALLATIN MACKEY AWARD FOR EXCELLENCE IN MASONIC SCHOLARSHIP is presented to individuals whose original works published by the Society are distinguished by their superior achievement. 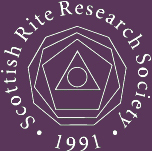 The distinctive title of Fellow of the Scottish Rite Research Society is given to SRRS members who have published a minimum of five articles as primary author in Heredom and/or The Plumbline, or who have written a major publication of the Society. View list of Scottish Rite Research Society Fellows and Albert Mackey award recipients. © Copyright 2012. Scottish Rite Research Society. All Rights Reserved.